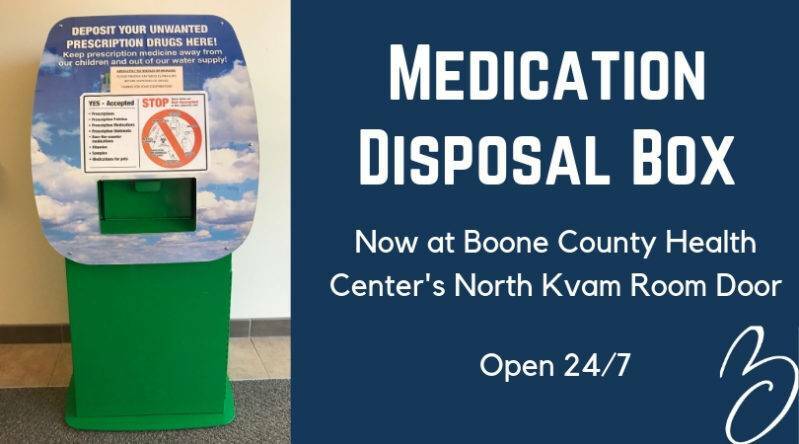 Due to remodeling at the Boone County Sheriff’s Office, the medication disposal box that has been housed there since 2012 has now been permanently moved to Boone County Health Center (BCHC). Prescription medication should never be shared, thrown in the trash where others can find it, or flushed where it may enter the water supply. The medication disposal box offers a safe way to get rid of unwanted, unused or old, expired medications. The box is just inside the doors on the north side of BCHC at the entrance labeled “Administrative Offices & Jerome and Laverne Kvam Community Room.” Medicines can be dropped off any time day or night. For safety, there is video surveillance 24/7. Items that cannot be taken at this time are oxygen tanks, nebulizers, sharps, inhalers and radioactive cancer medications. To ask questions, call Levander at BCHC 402-395-2191.